For the last five years I have started the year with a Jill Shalvis book. 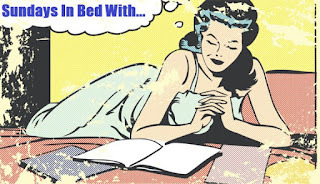 I love starting the year with a book I can count on to make me feel good, laugh and start my reading year off right. 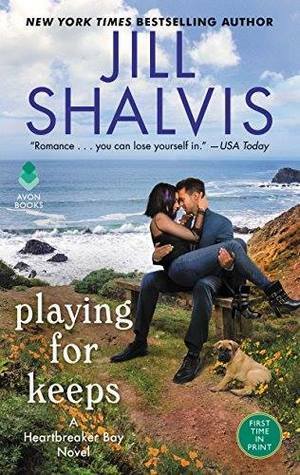 Playing for Keeps has a bit of a different undertone from the other books in this series. Sadie has some serious issues, I don't want to go in to it for fear of spoilers, but everything from her childhood issues to now have a edge to them. Sadie's family is all over her as she doesn't meet their expectations, she's working two jobs to make ends meet and has tattoo's. I completely understand how annoyed Sadie was with her family as everyone was always "What about Sadie?". Let her live her own life! Caleb is one of my favorite heroes in the series. He's not perfect (the utilities thing would have pissed me off something fierce) but he has such great qualities. He's kind, looks out for his family, but isn't afraid to say his mind to them. He truly wants the best for everyone in his life. I adored his sisters and their roll in his life both in his childhood and now. Sadie and Caleb were such a cute pairing. They skirted around each other for awhile, but rescue dog Lollipop brought them together and it was all downhill from there (not to say there weren't some bumps in the road). I thought Caleb handled Sadie's trust issues so well, giving her the space and time she needed, but also pushing her when it was right. As always I loved seeing the previous characters lingering around and seeing what they're up to. I really hope that we get a book for Ivy. 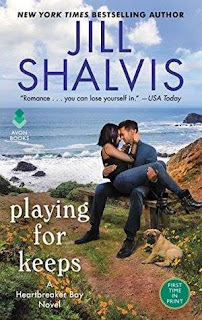 I highly recommend Jill Shalvis' Heartbreaker Bay series (and her others)!